Imagine a literary jam session with 22 of your favorite masters of pulse-pounding fiction and you have Watchlist: Two Serial Thrillers in One Killer Book. 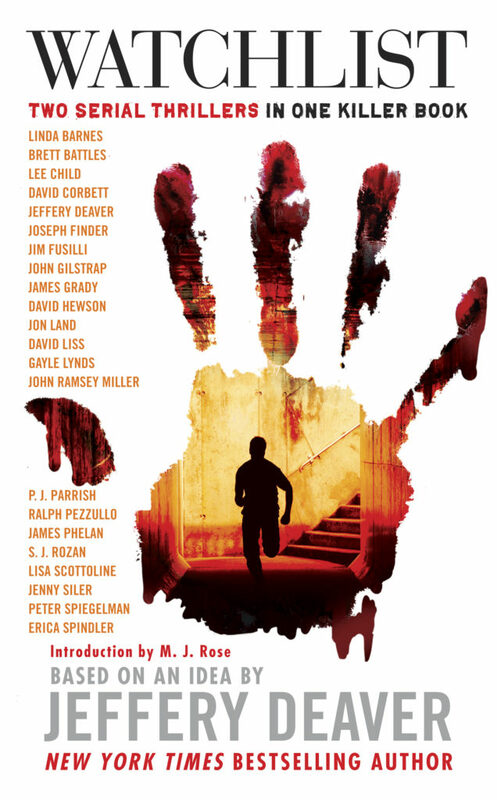 Jeffery Deaver conceived of the characters and put the plot into motion and Jim Fusilli leant a sharp editorial eye, finely orchestrating this chorus of suspense that includes such top writers as Lee Child, Joseph Finder, Lisa Scottoline, Gayle Lynds, P.J. Parrish and many others. Dramatic tension ties the novellas together as each thriller titan leads the reader down dark alleys and around blind corners, saving the fireworks for the climactic endings, also crafted by Jeffery Deaver. Watchlist is the print edition of two original audio serialized thrillers: The Chopin Manuscript and its follow-up The Copper Bracelet. Click on any image to buy the audiobook.